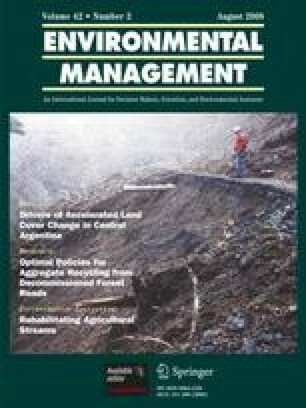 This study explores different socio-economic and institutional factors influencing the adoption of improved soil conservation technology (ISCT) on Bari land (Rainfed outward sloping terraces) in the Middle Mountain region of Central Nepal. Structured questionnaire survey and focus group discussion methods were applied to collect the necessary information from farm households. The logistic regression model predicted seven factors influencing the adoption of improved soil conservation technology in the study area including years of schooling of the household head, caste of the respondent, land holding size of the Bari land, cash crop vegetable farming, family member occupation in off farm sector, membership of the Conservation and Development Groups, and use of credit. The study showed that technology dissemination through multi-sectoral type community based local groups is a good option to enhance the adoption of improved soil conservation technology in the Middle Mountain farming systems in Nepal. Planners and policy makers should formulate appropriate policies and programs considering the farmers’ interest, capacity, and limitation in promoting improved soil conservation technology for greater acceptance and adoption by the farmers. We wish to thank all farmers and user groups’ members who provided their valuable time and shared their experiences on soil conservation practices and their land management. We are grateful to Dr. Fred H. Johnsen and Mrs. Hilary Mobbs, UMB for kindly editing the article and two anonymous reviewers whose valuable comments contributed to improvement of this article. The financial support from the Norwegian Council for Higher Education’s Program for Development Research and Education (NUFU) funded Education Research and Training for sustainable management of natural resources in the watershed of Nepal, IOF/UMB Project (PRO 58/2003), is gratefully acknowledged.